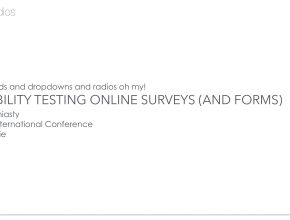 UX surveys are uniquely positioned at the intersection of qualitative and quantitative methodologies. They can be used to understand user behavior, gather design feedback, and as inputs into personas and other strategic deliverables. 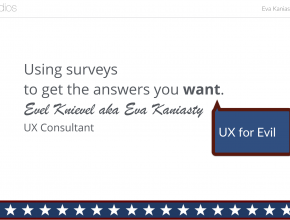 Unlike market research surveys, UX surveys do not seek to understand respondent attitude or opinion. Slipper Studios offers a complete survey solution, from design through analysis and reporting. Looking for the right survey tool for the job? Compare UX Research tools. Writing good survey questions requires the application of best practices and an understanding of the psychology of survey response. Pre-testing surveys using cognitive interviews helps identify bias and measurement error before launch. Survey data is at its most useful when it is part of a mixed method research process. 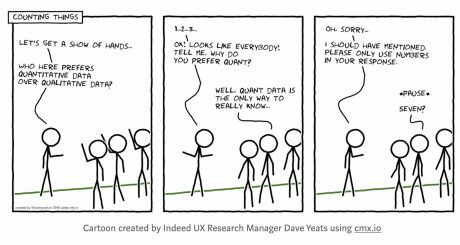 Triangulating multiple data sources leads to a more robust UX strategy.